Santa Fe is located in New Mexico. Santa Fe, New Mexico has population of 84,099. Santa Fe is less family-centric than the surrounding county with 23.62% of the households containing married families with children. 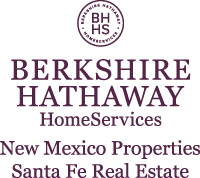 The median household income in Santa Fe, New Mexico is $50,213. The median household income for the surrounding county is $52,958 compared to the national median of $53,482. The median age of people living in Santa Fe is 44.5 years. The average high temperature in July is 86.5 degrees, with an average low temperature in January of 18.8 degrees. The average rainfall is approximately 15.8 inches per year, with 30.8 inches of snow per year.